Spring Grab Bags, Free E-Book Rentals & Amazon Family for FREE! It's that time again…Frugal Find Friday is here! All week long my team and I keep our eyes peeled for unique and exclusive deals that will save you time and money. Today is no exception! We've got free E-books and audio books, an exclusive deal, Spring Grab Bags, where you get 3 items in your size for just $15, and a simple way to save 20% on diapers. Yes, you read all of that correctly. Bring on the Frugal Finds! 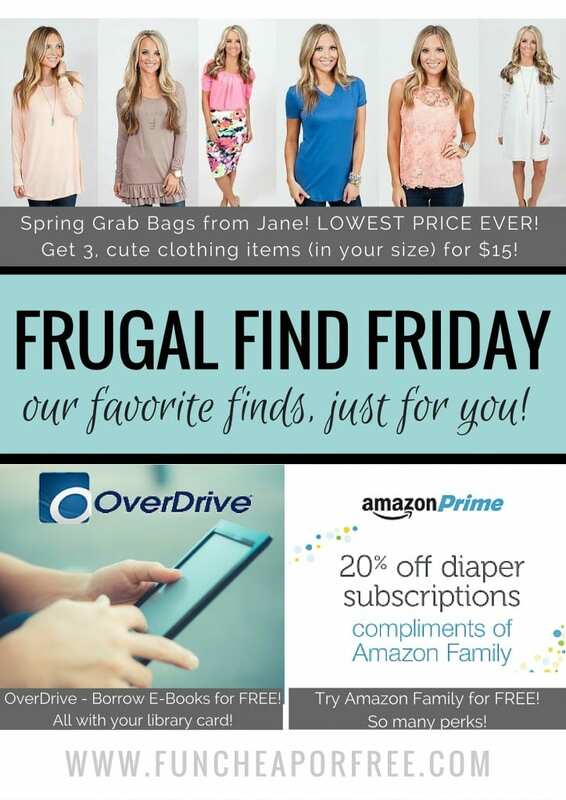 $15 Spring Apparel Grab Bags from Jane! I am SO EXCITED for these Spring Grab Bags from Jane! Fancy Frills Boutique worked to gather the cutest of the cute in spring apparel, and every order will get 3 pieces of clothing for $15. That's $5 an item, kiddos. Definitely a Jordan-approved deal. Shipping is super affordable at $3.99 for your first bag, and $1.99 for additional bags ordered. Go HERE to see what items could be included in your bag (the bags will be filled only with the items shown on THIS PAGE) and get excited for the surprise to show up at your door! 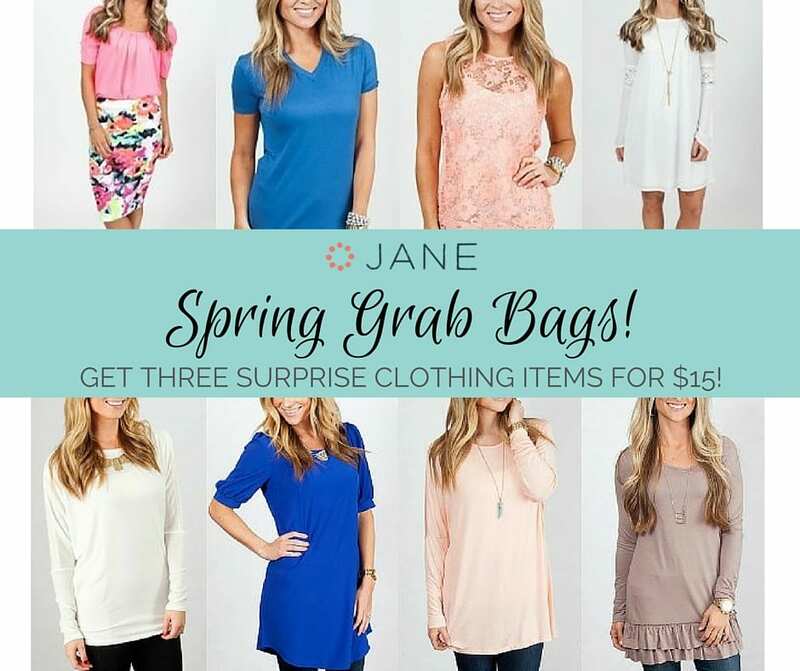 Get your $15 Spring Clothing Grab Bag from Jane before they're gone! Next up, a FREE app I was recently introduced to that allows you to read free Ebooks and listen to free audio books! 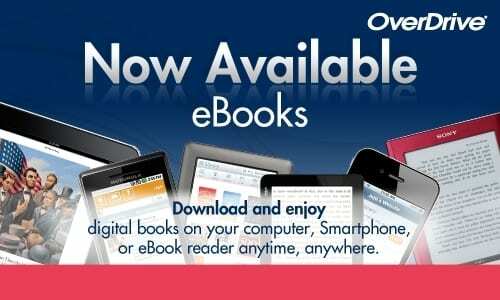 OverDrive – Read FREE E-Books on your favorite device with your library card! With moving, I've spent a lot of time packing, unpacking, cleaning, etc. I've turned to audio books to keep me company. I just didn't want to have to pay $15+ for an audio book that I'll only listen to once! You Freebs told me about OverDrive, and I'm hooked!! OverDrive is a free app you download on your phone, and it allows you to check out public library e-books and audio books using your library card! Signing up is easy, and there are no strings attached. You search for the book you want, check it out via the app in Ebook or Audio Book form, and borrow it just like you would from your library…without having to leave your home! Check out OverDrive, and see if your public library shares their books with the app! Amazon is a must-have in our house. The more kids I have the more I use Amazon, trying to avoid going shopping with the kids at all costs. I recently heard about Amazon Family, which is a prime membership tailored for families with kiddos! 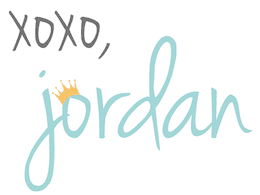 You can save 20% on diapers with a subscribe and save plan, and you get a 15% discount off registry items. Can't argue with that. 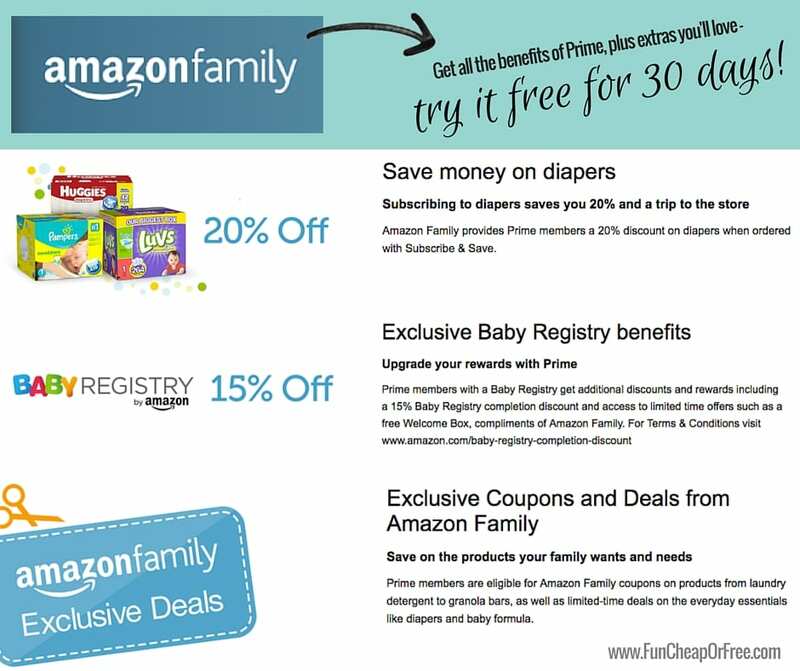 They do additional coupons and deals just for Amazon Family subscribers, and they are always things you'll use as a mom, like diapers, or formula. Click here to subscribe to Amazon Family and get a FREE 30 day Trial Membership to see if you like it! That's a wrap!! What kinds of deals would you like to see featured for Frugal Find Friday? Let me know in the comments below, and I will go searching for your must-haves! For audiobooks, there is also hoopla digital. They have music and movies too. All you need is a library card if your library participates with it. I have found they have a much bigger selection of audio books. You can borrow 10 things in a month. Over Drive is my fave!! I’ve been using it for years and it’s the best! Free books from the library!!! !